100% cotton short sleeve t-shirt. White with Seton logo and name in navy blue, with navy blue collar and sleeve cuffs. Machine washable. Great gift for homeschooling students! 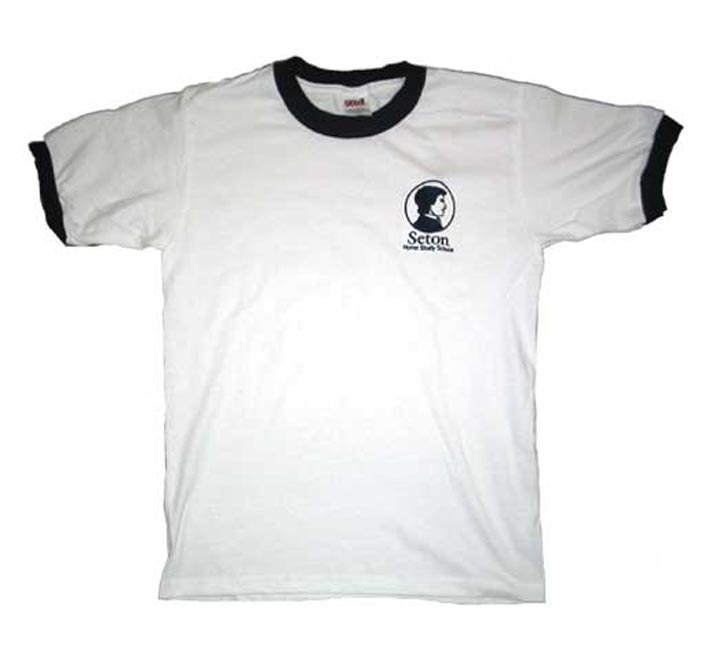 (Size: Adult small).